As I mentioned in a previous post, I didn’t like my actual birthday cake. I originally wanted a peach or cherry pie but was vetoed. 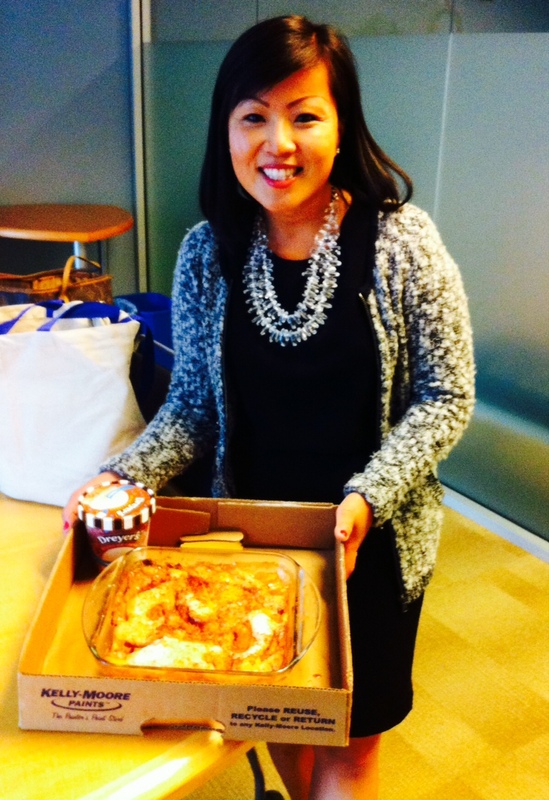 I posted my comment to Facebook and my friend Hollie responded by bringing me a peach cobbler the next day. It was so good and the most beautiful part was that she shared a childhood memory. Hollie’s grandmother would give her peach cobbler for breakfast during her summer visits by putting some in a bowel and adding milk. Hollie said it was just like eating oatmeal. She eagerly shared her recipe with me. Well, I made some last night and it’s good, not as good as Hollies after all she’s been making it for years, but good. I also picked up 5 large peaches at the Farmers Market and since Gluten-Free flour takes longer to bake opted for organic regular flour. The chore is peeling and slicing the peaches, but once that’s done it’s easy sailing from there. -Slice and put in a bowl. Take your pyrex and put 1 stick of butter in the pan. I just had some for lunch, with a little bit of ice-cream. I’ll go back to being healthy again on Monday. Do you guys have a favorite recipe? This looks delicious!! 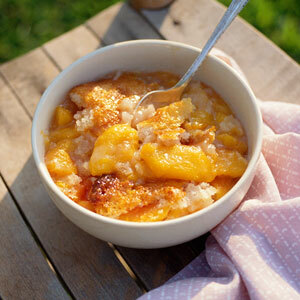 Peach cobbler is one of my all time faves! Its’ also so easy to make! 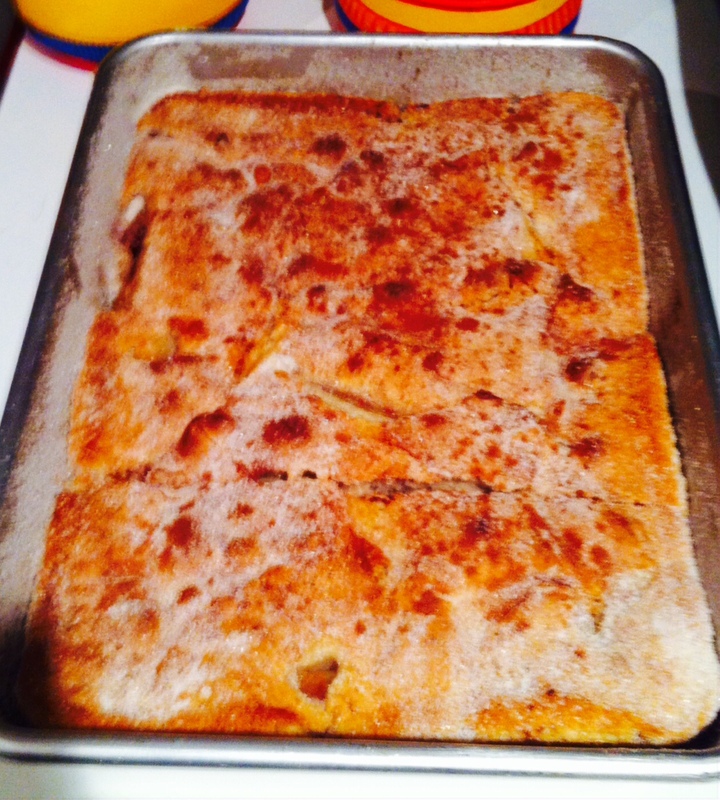 I like simple recipes….if it calls for too many steps I’m left daunted and frustrated.